You can cut friends and family’s hair in the privacy of your own home without a license. However, you can’t legally charge them money for it. A hair stylist specializes in the art of styling hair, hair extensions, including cutting, chemical services such as relaxers, texturizers, perms, and color, as well as restorative treatments. To be a qualified hair stylist who can charge for their services must hold a license or particular level of designation based on the location you are in. In North America each Province/State has their own regulations on who can or cannot practice the art of hair. Now I have been a stylist in the Western Canadian area for some time now and it baffles me the non-regulated qualification levels between each border. 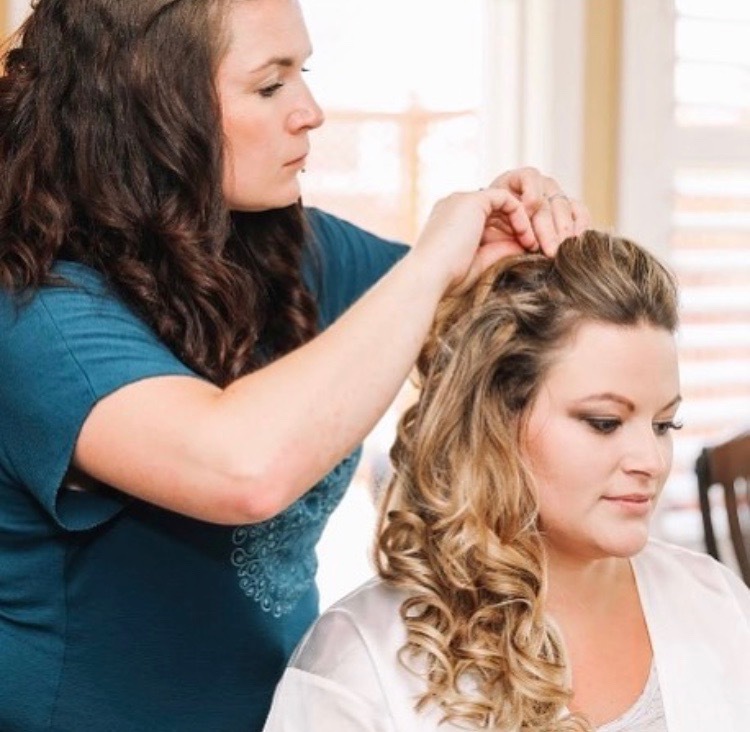 To work as a stylist in Alberta you have to have a license or hold a certified journeyperson red seal and that involves taking an exam, a stylist may hold an apprentice certificate however may not practice unless under the vision of a Red Seal Stylist. If a stylist holds a non-recognized Canadian credential in an Alberta-designated trade, but can demonstrate skills and experience in an Alberta-designated trade that meets standards set for journeypersons in Alberta they may hold a Qualification Certificate. If you are questioning your stylists or hair specialist about their qualifications you have the right to ask for their credentials before they apply the service you are paying for. In order to work in a salon…you have to be a registered apprentice or qualify by the state or province qualification levels. Here is a link to find our what qualifies your stylist to practice the art of hair styling in your province. This means completing the prescribed course work for cosmetology and passing the state/province board exams. Here are a few definitions on what to watch and to further understand when shopping for a salon professional or hair extension specialist. Is a trader or crafter who has completed an apprenticeship. The Red Seal allows qualified tradespeople to practice their trade in any province or territory without having to write additional examinations, thus improving labor mobility in Canada and saving time and resources by eliminating the need for multiple examinations. Certification does not refer legally being able to practice or work in a profession. It may very well mean the certified individual took a day or weekend course and is now able to demonstrate a certain level of knowledge or ability. To legally practice a trade depending on state/province you have to hold some form of a license or designation. Usually in the art of hair, a licensure is administered by a governmental entity for public protection purposes and certification by a professional association. License means to give permission; license may be granted by a party (“licensor”) to another party (“licensee”) as an element of an agreement between those parties. To obtain a hair dressing license hairstylist typically attends cosmetology school to get their cosmetology certification, and then takes the cosmetology-licensing exam in their state/province to begin their career as a hair designer. ‹ PreviousHow are Micro Links / Lock Hair Extensions Removed: what is the process? You have adone an absolutely amazing job with my extensions. People who have known me for years had no idea these were extensions. I get compliments everywhere I go and have spread the word on who did them! I couldn’t be happier with the outcome and they are better then I could have imagined. I will be sad to see you go, but will make the trip to BC if I have too. Thank you so much for the great look!